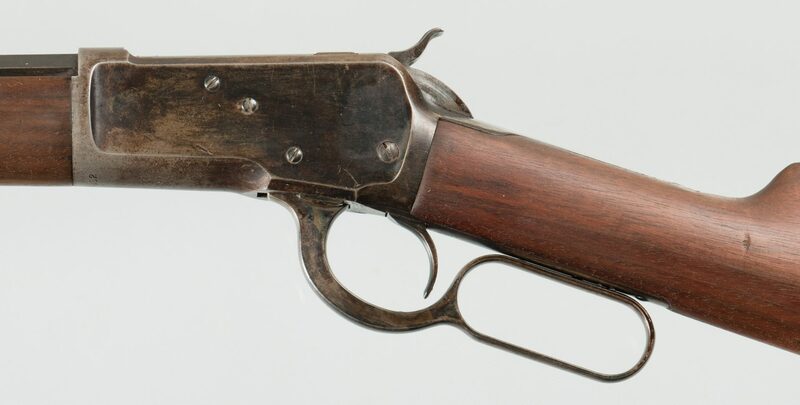 Model 1892 Winchester rifle, .32 WCF (Winchester Center Fire) Cartridge. Serial number 359032. 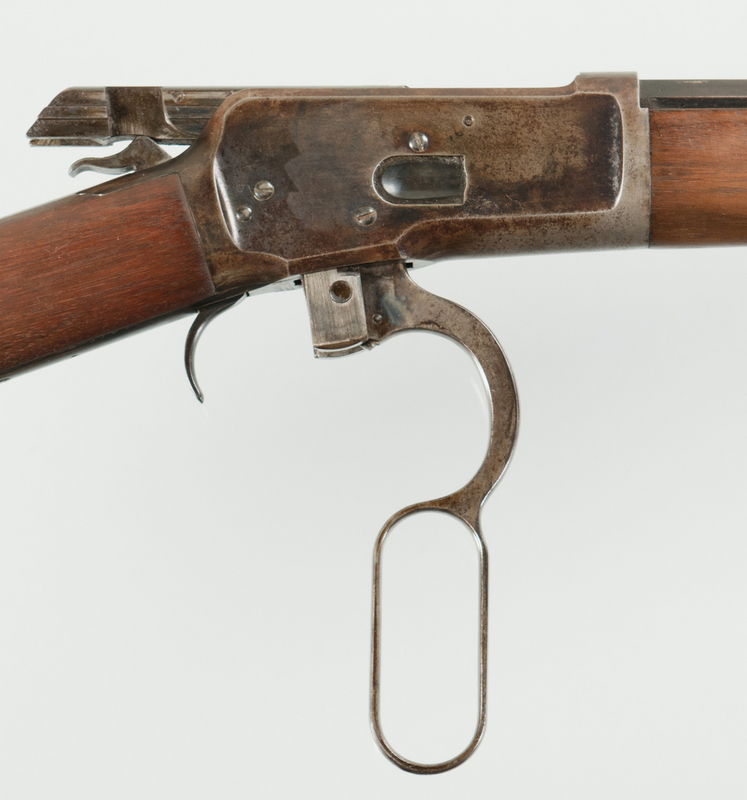 Barrel marked, "MANUFACTURED BY THE WINCHESTER REPEATING ARMS CO. NEW HAVEN CONN. U.S.A. PATENTED OCTOBER 14. 1884. 32 W.C.F.". 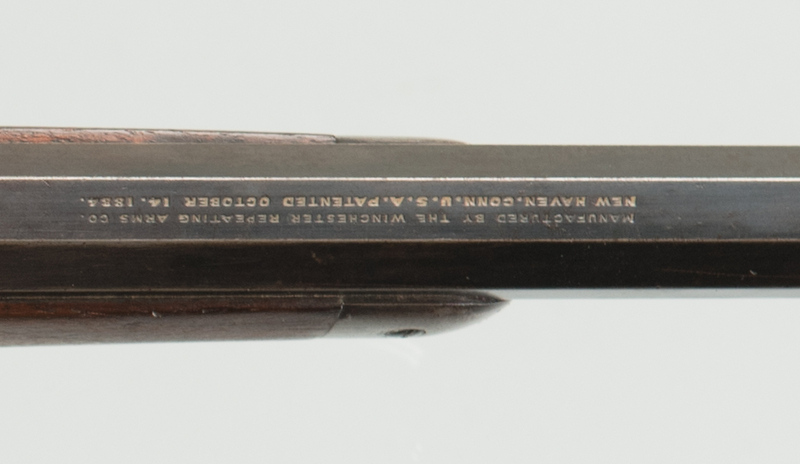 Tang marked, "Model 1892 Winchester Trade Mark". Walnut stocks, metal frame, octagonal barrel. Standard sights. 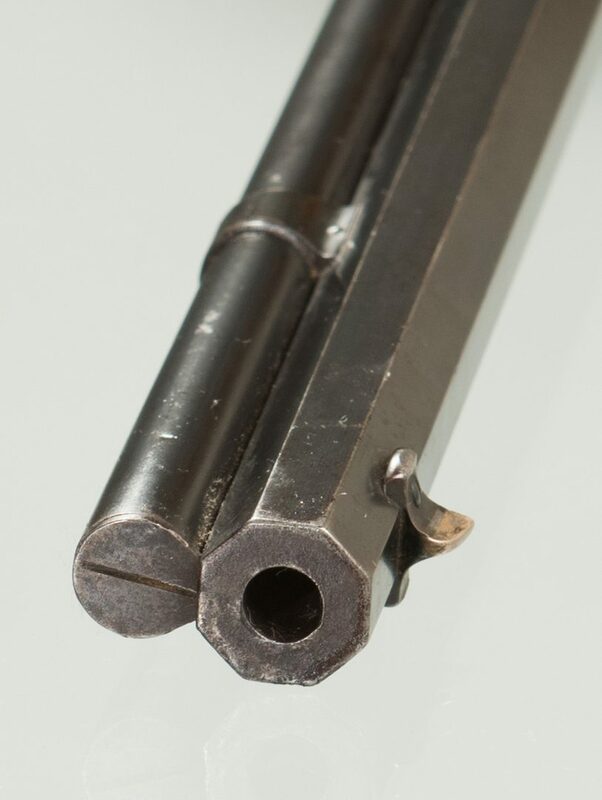 Barrel length – 24". Overall length – 42". Serial number corresponds to year 1906. CONDITION: Bore is dark. Barrel and magazine tube retain 40% thinning blue turning brown. Receiver and lever retain 25% blue. Wood has been lightly sanded. Excellent mechanical.